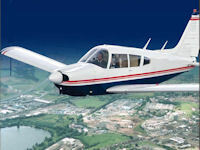 Aerobatic Flying Lesson with a qualified instructor providing hands-on experience at the controls of a 2 seat, closed cockpit, Cessna A152 Aerobat aircraft. 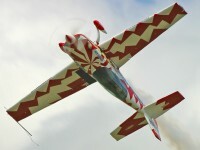 Have a go at flying aerobatics YOURSELF!! 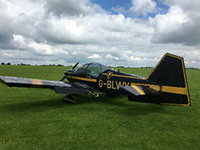 After a short briefing you will take to the skies in the famous Slingsby Firefly and enjoy some serious aerial antics! During the flight you will have opportunity to actually fly the aircraft. Spectators welcomeDon't forget your camera. 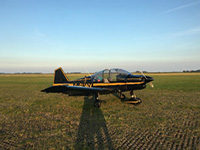 After a short briefing you will take to the skies in the famous Slingsby Firefly and enjoy some serious aerial antics! During the flight you will have opportunity to actually fly the aircraft. Spectators welcome. Don't forget your camera. If you're after a thrill, this is it! 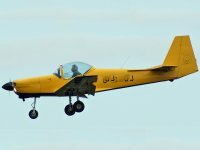 The mighty little Robin is fully aerobatic: your instructor will demonstrate the manoeuvres, then you - yes, YOU - will get the chance yourself! 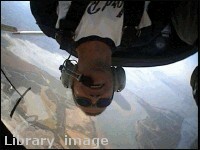 Fly aerobatics (yourself! 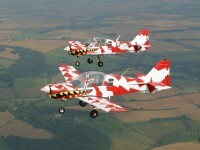 ), with a current or ex-RAF fast jet pilot, in an ex-military Bulldog aircraft. 3 hours, with 35 minutes in the air. Fly extreme aerobatics, with a former fast jet pilot, in the world's top performing two seat aerobatic aircraft - the Extra300! Go head to head with your opponent! Flying in a Bulldog next to your experienced ex-military pilot who has done it for real, you will be introduced to air combat and tailchasing - the sport of kings! 4 hours, with 45 minutes in the air. Go head to head with your friend! 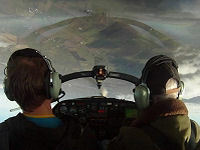 Flying in a Bulldog next to your experienced ex-military pilot who has done it for real, you will be introduced to air combat and tailchasing - the sport of kings! Go head to head with your friend! 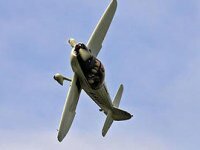 Flying in a Bulldog next to your experienced ex-military pilot who has done it for real, you will be introduced to tailchasing and air combat - the sport of kings!